Death interrupts life. And blogging. I'll be back soon. Four deaths in less than a week has required much of me. They say to be careful what you wish/pray for. 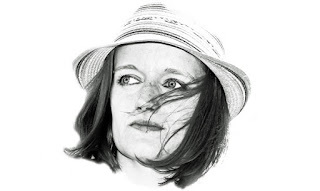 Workwise, as a freelance writer/editor/voice-over talent, things have been really slow. Starting in October of 2015, my workload shrunk considerably. As a matter of fact, for the first time in almost 11 years in business, by work queue was empty on more than one occasion. That's scary for those of us in the freelance business who depend on that income. Really scary. Like I said, things had been really slow for the final few months in 2015. I wasn't sure what I was going to do. Then I started praying for work (duh, I guess I should have done that more faithfully in the previous months). Suddenly, starting a couple of weeks ago, things started happening. This week, they exploded. I cannot keep up with the requests to submit proposals for work. And I cannot catch my breath. In the meantime, I committed to pet/house sitting for four days at the end of the week. One of my oldest friends is moving from Pittsburgh to Oregon and we have one chance to get together for a final dinner (sniff). That's this coming Monday night. And then there are the human tragedies surrounding us. In less than a week, we've lost one friend (who died unexpectedly in his sleep), another's adult son died suddenly, and another's wife, who was operated on for ovarian cancer last week, had a stroke two days later and slipped into a coma. On Sunday, our friend took her off life support. She died today. So there will be funeral home visits sprinkled into all of this busyness. Sadness upon sadness. Yet, the very thing I prayed for is coming to fruition and beyond, so I have to keep at it. It's daunting really. On one hand, there is tragedy. On the other, success. Balancing emotions through all of this is tough. Yesterday, I was celebrating the acceptance of one of my flash fiction pieces for Poppy Road Review (it was published yesterday), and then my joy came crashing down at the news of my friend's son's death. Crazy. But that's the world we live in, isn't it. Grief vs. joy, struggle vs. victory, failure vs. death. It all colors the canvas and we have to learn to be flexible and resilient. I'm trying. Really I am. So, if I'm absent more than usual from here and from the FB page, know that I'm just trying my best to ride the waves and not grow seasick. 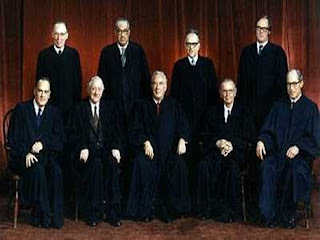 Forty-three years ago today, a landmark decision was made that is often referred to as a victory for women. It was the day that abortion was legalized in the United States in the infamous Roe v. Wade case. At the time, abortion was legal in only six states. Norma McCorvey, then referred to as Jane Roe, seriously laments that decision. Some applaud her for her change of heart while others vilify her. The thing is, McCorvey a.k.a. Roe, did not have an abortion in 1973. By the time the case went to court, her daughter was already two years old and was, undoubtedly, being raised in a loving home. McCorvey placed her for adoption after she was born. This was the third child the mother had surrendered, including her first who was raised by Norma's mother. 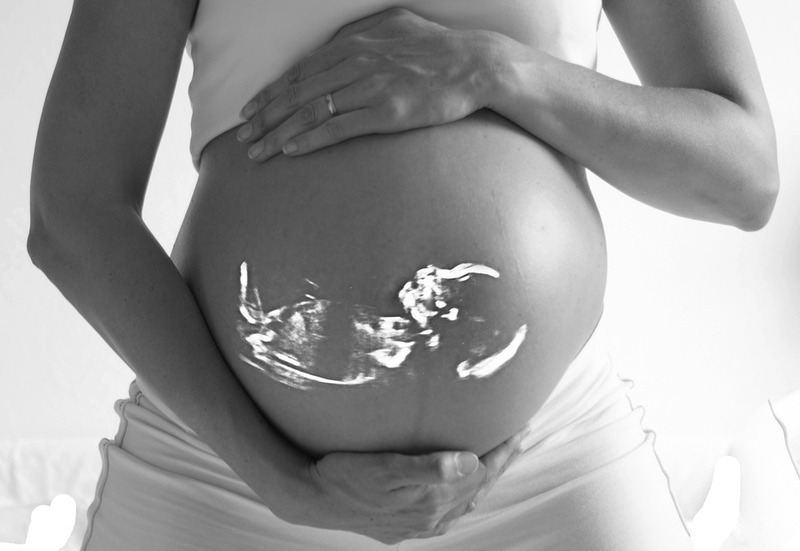 The legalization of abortion in 1973 has cost the United States 58,586,256 innocent lives, based on data from Guttmacher Institute as well as the U.S. Centers for Disease Control & Prevention (CDC). I'll let that number sink in for a minute. Keep in mind, for the most part, these were deaths by choice. Of course, in some cases, they were deaths by coercion. Many were deaths by ignorance, with young mothers believing the lie that these babies were just blobs of tissue. Now, before you accuse me of hating women as a pro-life advocate, let me set the record straight. My stand for life has nothing to do with being against women. Nothing whatsoever. I could go on and on citing case studies of women who were so distraught after their abortions that they attempted suicide. Many succeeded. There are scores of testimonies of women who have regretted their decisions. Many struggle with guilt and depression. For some, this was their last shot at parenthood, as their abortions created subsequent infertility. And some, yes it still happens in legal clinics, have died in the midst of or shortly after their abortions. My stand against abortion, however, has nothing to do with how I feel about women. After all, I am a woman. 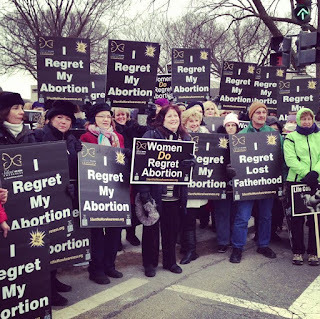 Not only that, I am a woman who faced an unplanned pregnancy. I would go so far as to say it was a crisis pregnancy. Following my initial appointment with the abortion doctor (after all, abortion was the sensible thing to do, right? ), I changed my mind. Thank God, I changed my mind. In September 1980, I gave birth to a beautiful baby girl. I cared for her in the hospital and then I walked away from her, four days later, and allowed another mother to feed her and change her and kiss her boo boos and watch her grow. Another mother helped her get ready for prom, attended her graduation, and shed her own mama tears when her daughter left for college. I faced the most difficult and painful decision at the time she was born, but I have never regretted giving her life. A couple years later, my husband and I were expecting our first child and I was told I had cancer. The recommendation was to abort the baby so I could start treatment. I agonized over that decision, too. In the end, I decided to go through with the pregnancy and deal with the cancer after my daughter was born. That daughter is one of my greatest blessings. As are her two children, one of whom is in the process of being adopted by her. But back to the reason I am pro-life. It's not about the women. Nope. It's about the ones who have no voice. I do not believe we have the right to snuff out life simply because it's inconvenient to us. Or because they're the wrong gender. Or they have an extra chromosome. What gives us that right? When a child is conceived, he/she is a human being, plain and simple. To kill him/her, by choice, makes no sense whatsoever. Does it make life easier on the mother? Most likely. But once a new life is present, it's no longer about just the woman anymore. And what about the father and his rights? I think there is something seriously wrong with a system that insists on a father providing for a child, whether he wanted that child or not, yet gives him no say in whether or not that child is entitled to their first breath. Think about it. If you're honest and can put aside your pro-woman-at-all-costs mentality, you have to admit I'm right about this one. Yes, it is the mother's body. Yes, it is her life. But it's not her life alone. And, once she's pregnant, it's not only her body. There is another body dependent on her to nourish it. She doesn't have to love her baby, but I believe she has to care for him/her. At least until they're born. And then? Like me, she can walk away and go on with her life. For me, it's about the babies. They're the reason I stand for life. And I will continue to do so until there is no more life left in me. Anti-woman? No. Of course not. I'm just pro-baby. According to PRNewswire today, a broad coalition, which includes environmental, parent, and faith groups, is applauding Gov. Tom Wolf for his proposal on rules to cut methane pollution from oil and gas operations in Pennsylvania. Now, let me be clear -- I am not necessarily a fan of Gov. Wolf. However, his actions today will pave the way for strong rules addressing both new and existing sources of pollution, including the many thousands of gas wells across our state. And, if you don't know me well enough already, I'll be clear on this, too -- I'm 100% against fracking. According to Larry Schweiger, president and CEO of PennFuture, "This announcement is welcome news for Pennsylvanians forced to co-exist with an industry playing by its own rules no matter how damaging to people and the planet. Gov. Wolf's bold leadership takes an important and much needed step toward protecting the health of Pennsylvania citizens from drillers' harmful methane pollution. This industry is recklessly wasting natural resources and appears to care little about the health of its neighbors or the rapidly warming planet resulting from emissions of this potent greenhouse gas." In case you're wondering, methane is the primary component of natural gas and, alongside other toxic co-pollutants, leads to the formation of ground-level ozone (smog) that contributes to increasing incidence of asthma attacks in children as well as pulmonary and heart disease in seniors and the disadvantaged. "Our children deserve clean air to breathe and the prospect of a healthy future, and Gov. Wolf's action today will help ensure that," said Gretchen Dahlkemper, national field manager for Moms Clean Air Force. "Clean air is a right guaranteed by the Pennsylvania constitution and yet our leaders to date have catered to polluters at the expense of our kids. Gov. Wolf has turned the page, and parents across the state are grateful." As are grandparents like me. And it's not strictly the environmental groups weighing in. Sister Mary Elizabeth Clark of the Sisters of Saint Joseph Earth Center in Chestnut Hill, Philadelphia had this to say: "A moral society needs to care for its most vulnerable citizens and in acting today, Gov. Wolf has shown that he will do just that as he moves to protect Pennsylvania residents from unnecessary methane pollution. Our fossil fuel industry has shown little regard for air, land and water. We support the governor's action to protect citizens from an industry that has not proven itself a good neighbor." Rachel Filippini, executive director of Group Against Smog and Pollution (GASP), added, "Air quality is a chronic problem in Pennsylvania and not just in drilling regions such as southwestern Pennsylvania. People across the state are paying the price for the oil and gas industry's air pollution. These rules are a significant step forward in reining in air pollution from this industry." "Methane pollution from oil and gas operations -- in both our water and air -- has long been a concern for Pennsylvanians and yet, drillers have been given near carte blanche to pollute," said Steve Hvozdovich, Pennsylvania campaigns director for Clean Water Action. "Today's action by Gov. Wolf makes clear that our chief executive will set the terms by which this industry can operate in Pennsylvania. 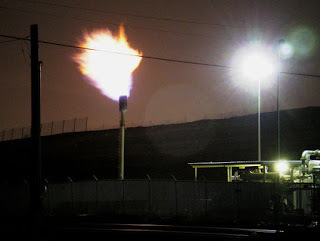 As the second-largest natural gas producing state in the nation, we can afford nothing less." Won't you join me in celebrating a rather large victory in Pennsylvania today? I commend Gov. Wolf on this courageous, and no-doubt unpopular, proposal. 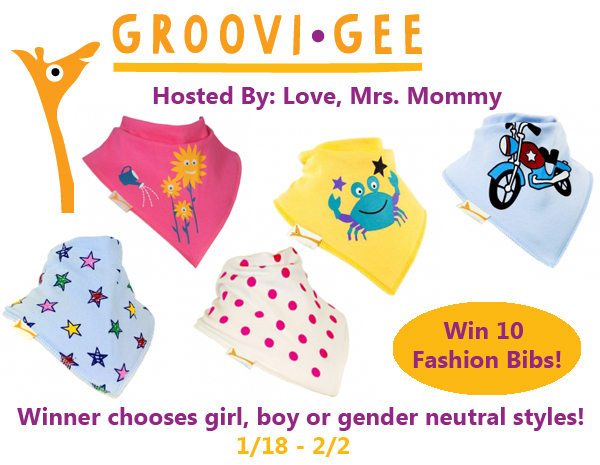 Groovi Gee Set of 10 Fashion Bibs GIVEAWAY! A big "Thank You!" to my sponsor, amazing co-hosts, and all the wonderful bloggers who are participating in this giveaway! Thanks for all that you do! I love this assortment of bibs. It's always nice to have extras stashed in your diaper bag, because, it you're like I was, you often forget to pack a bib. Wouldn't an extra 10 bibs be sweet? We love it if you "Like" each of us on Facebook! Disclosure: Love, Mrs. Mommy received 8 Groovi Gee bandana bibs at no cost to facilitate the above-mentioned review. Love, Mrs. Mommy and all participating bloggers are not held responsible for sponsors who do not fulfill their prize obligations. This giveaway is in no way endorsed or sponsored by Facebook or any other social media site. The winner will be randomly drawn by Giveaway Tools and will be notified by email. The winner has 48 hours to reply before a new winner will be drawn. If you would like to participate in an event like this please contact LoveMrsMommy (at) gmail (dot) com. Today is the third anniversary of my mother's death so I thought I'd honor her by sharing some of things she taught me about green living... and some things I taught her in her later years. Being green was not a "thing" when I was growing up. Yet, I was raised with an appreciation of nature that started during the countless hours I spent in my playpen in my backyard in Manheim, Pennsylvania. The youngest of three girls, I was often left to entertain myself outside and, from stories I've been told, I ate my share of caterpillars and other bugs while out there. Yum. And yet, I was the pickiest eater EVER as I got older. My poor mother catered to my pickyness for years and there were many meals where I simply ate bread with molasses (for the iron). The thing about our refrigerator and cupboards was that the food she bought (and grew in the garden) did not get wasted. My mom set a good example. I remember the year she decided to start a vegetable garden. We dug it up, raked it, and planted it. Eventually, we built a small fence around it to keep the bunnies out. I loved spending time with my mom in the garden. Even though there was very little there that I would eat, I still relished going out there and picking peas and beans and tomatoes. Perhaps that's why I enjoy it still today. Possibly the best environmental gift my mother gave me was our mutual love of hanging laundry on the line. I discovered my passion for the smell of sun-dried sheets as I crawled into bed in my childhood home. It remains my favorite smell on earth. Mom continued line-drying clothing and sheets into her 80s. She even line-dried her towels, reducing her carbon footprint long before that phrase was ever uttered. I loved that about Mom. She also made much of our clothing, using leftover scraps of fabric to make doll clothes, so nothing was wasted. I never truly appreciated that when I was young, but I sure do now. Her skill with the sewing machine was not inherited by me, but I do have her old Singer. Maybe some day I'll channel her creative energy and make some clothing for my grandbabies... or their dolls. Unlike many elderly people, my mom was open to learning new things. When I told her about how toxic fabric softener was, she stopped using it. Same with some of her cleaning supplies. When I'd visit her, I'd find gallon jugs of distilled white vinegar. And it made my heart happy. She even tried apple cider vinegar for acid reflux, but just couldn't handle it. At least she tried. And... during her last decade or so, Mom never went out to the store without her reusable bags. How awesome is that? On this anniversary of losing her, I can't tell you how much I miss her. There are days I still dissolve onto the floor in a puddle of tears. I never thought it would hurt this much. 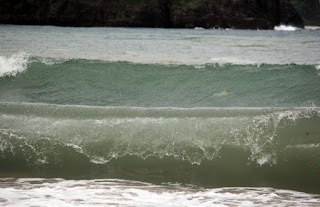 But it's good to reflect on her life, so I thank you for indulging me and reading this post. I would love it if you'd share some of your own stories in the comments below to cheer me up a bit. In what way did your mom demonstrate green living for you? Update: Lily was found late last night, Jan. 13th. The two men she was with have been arrested. Thank you for your concern and prayers. Yesterday, I wrote about missing socks. Little did I know that at that time former neighbors of mine were worried sick about their missing daughter. Lily Funk, 17, 5'6", 190 lbs. 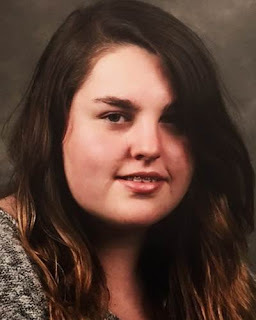 with brown hair and blue eyes went missing on Monday night, January 11. I don't know any of the details. I simply know that a sweet girl, who my own daughters spent many hours with as her babysitters, is in trouble. Did she run away? I don't know. Did she meet someone online and go off to meet him in person? I don't know. Was she abducted? I don't know. I know only that a girl my family cares about has disappeared. Lily's grandparents live catty-corner from our house and are fantastic neighbors. Her grandfather designed and built our back porch where I spend countless hours in the warmer months reading, writing, dining, drinking coffee or wine, watching the birds... just enjoying life. It's probably my favorite spot on earth and I am eternally grateful for the gift of it. That's what Lily's grandfather did for us. Now, with his granddaughter missing, I feel helpless to do anything for him and his wife. What can I do? Will a casserole dish matter? Pie? I'm stumped. I really don't know what to do other than share pictures of Lily and get the information out there. Maybe someone reading this has seen her. Maybe, just maybe, what I write will make a difference. If you have any information, please call the Sewickley police 412.473.3056 or 1-800-THE-LOST. The mystery of the missing socks. Where the heck did they go? It's about those socks. You know, the ones that are missing. Where the heck did they go?? Ever since people have been wearing socks and washing their clothes in washing machines, I imagine this question has been asked. Millions of times. It's not like gloves, which we know we might drop in a store or in a parking lot. No. Socks are on our feet when we go out and they don't just fall off. We don't drop them places. They remain in our homes. So, tell me, please, how do they get lost? I mean, seriously, where are they hiding? I understand how a stray sock will end up under the bed or behind the headboard or something. But eventually it will be found. Unless, of course, you never vacuum or clean out under your bed. My question really is about the socks that are never found. NEVER! When my kids were little, we used to have a blue plastic bin where all the single socks went on laundry day. It was called the Widowed Sock Bucket. Once a month or so, we'd dump it onto the floor and have a matchmaking session, reuniting socks with their long-lost mates. Oh the joy! Inevitably, however, some would end up back with other unpaired widows hoping their mates would not be MIA forever. 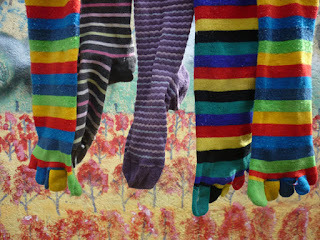 If socks do indeed hope. Years later, when we were moving, we threw the single socks away. 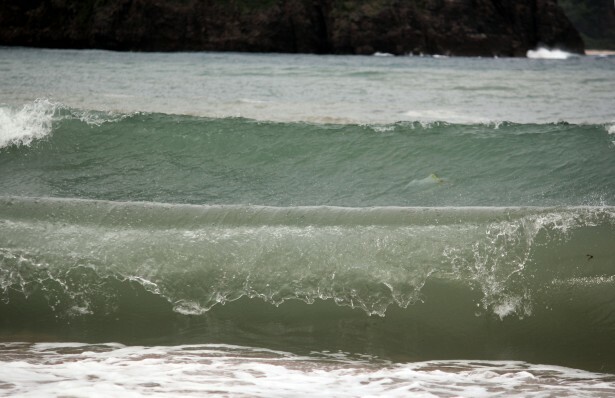 We never did find their mates. Where the heck did they go? I'm dumbfounded. Even now, with just the two of us, my husband and I encounter this perplexing dilemma. And again I ask, where the heck did they go? Yesterday, I read a Facebook post by a friend of mine. I asked her permission to post it here and she graciously agreed. Here is the expanded version of that post, written by the harried mom of two special needs children. I think it will resonate with many of you. And even if you don't have a child with special needs, it's an important read for all of us. I'm sorry that when you went out of your way to tell me how much you liked my hat, all I could do was impatiently look past you, mumble a thank you, and dash off into the crowd. I promise you, I really wanted to stay and chat, to tell you how much I looked forward to our next book club meeting, and to ask you for the recipe for the potato salad you'd brought to the last church picnic. I do have manners. I would love nothing better than to have a lighthearted conversation with you... or with anyone else for that manner. I thought that when my kids got older I'd be able to go places and talk to people without rushing in and out, brushing rudely past people who are trying to be friendly and chat. Then, I found out that I have two children on the autism spectrum who required varying degrees of constant supervision. So I still find myself racing through crowds, trying to keep my kids in sight and ignoring friendly overtures. I promise you, I'm not being deliberately rude or unfriendly. I'm not arrogant or snobby. I'm worried sick that my hell-bent-for-leather high-functioning son is going to topple a frail, elderly person, or dash in front of a car. Or I'm rushing my Asperger's son out from underneath fluorescent light fixtures before he succumbs to the meltdown he's been hovering on the brink of since we left home. When I'm looking past you, only half-hearing you, it's because I'm trying to locate my children before they can raid the refrigerator or scald someone with the Keurig. Or, I'm listening to my son's voice, raised in anger and trying to locate him so I can avert the meltdown, argument, disagreement, or fistfight brewing. If I'm sharp and short with my kids, ordering them to "SIT!" it's because I have been run ragged since before dawn, mediating disputes and having attempts at correction met with rants, doors slamming, violent outbursts or outright screaming matches. While they're sitting there in apparent docility, I am exhausted and on edge waiting for the next melodramatic scene. The simple joy of going to church as a family is a stressful nightmare for me. Any family outing is as exhausting as hauling a carload of sugared-up toddlers to the zoo and requires the same vigilance. 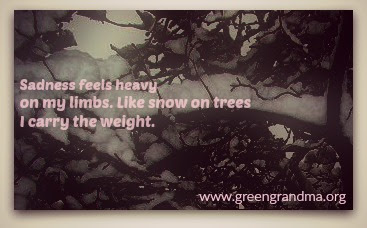 At the end of the day, I am numb with mental, physical, and emotional fatigue and often near tears. Even though I've been out in public and exchanged brief chit-chat with people, I still feel isolated and alone because I was never able to relax and be completely present. When I do get a chance to sit down and socialize away from the children without having to keep one eye on the clock to pick them up, or one eye on my phone in case I need to rescue the babysitter or other caregiver from a meltdown, I am still stressed, overwhelmed, and left feeling on the outside of things. So when you encounter me in public, please be forgiving of my awkward social graces, my inattention, my too-eager friendliness. I'm afraid as a result of having kids on the autism spectrum, I am becoming like them. I used to be a normal, interesting, sociable person -- just ask the friends who have known me since before I became a mom to special needs kids. A mom of six and a grandmother of four, Cali Hicks is a former freelance journalist turned SF novelist writing under the name JC Cassels. She is currently raising her second crop of kids with her husband in a century-old house on a mini-farm in a tiny agricultural community in South Georgia. She spends her days writing and trying to figure out where she left her glasses. Visit her blog at pulledporkandprayer.wordpress.com and her website at jccassels.com where you can order her books. 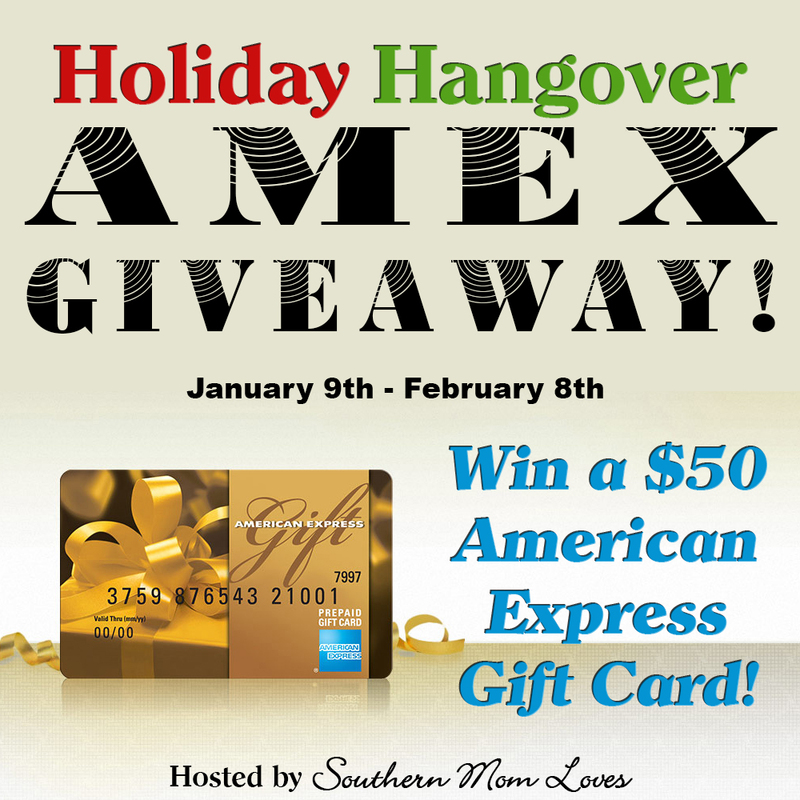 Holiday Hangover American Express Giveaway! Disclosure: This post contains affiliate links credited to Southern Mom Loves, not Green Grandma. $50 AMEX Gift Card Giveaway Event! Holiday spending can leave you with a financial hangover, so Southern Mom Loves got together with some lovely bloggers, including me, to bring you the Holiday Hangover event where one lucky reader will win a $50 American Express gift card to help them recover from the holidays! I'm hoping it's someone in the Green Grandma community, but you can't win unless you enter! And even though it won't gain an entry for you, I'd love it (and really appreciate it) if you'd head over to my Facebook page and become part of the community there by 'liking' the page. Giveaway begins on 1/9/16 at 1:00 am CST and ends on 2/8/16 at 11:59 pm CST. Must be 18 years or older, open to residents of the US ONLY. Once confirmed, the winners will be added to the Southern Mom Loves Winner's List. Disclaimer: The participating blogs were not compensated for this post. No purchase is necessary to enter. One entrant per household, per address. All entries will be verified. Void where prohibited by law. Winner will be notified by email; Please add southernmomloves@gmail.com to your whitelist. Southern Mom Loves will be responsible for prize delivery to the winner. This giveaway is in no way administered, sponsored, endorsed by, or associated with Facebook and/or Twitter, Google, Pinterest, or any other social media platform.